Arch is made up of many disciplines, such as geology, geography, philosopy, sociology, chemistry, biology, etc. 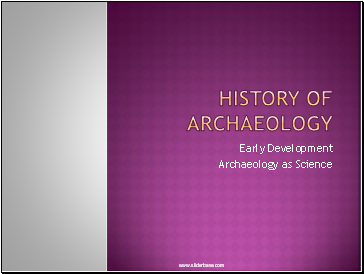 This can be seen as we look at the history of archaeology. Requires definition, i.e. looters of Egyptian tombs? Grave robbers? 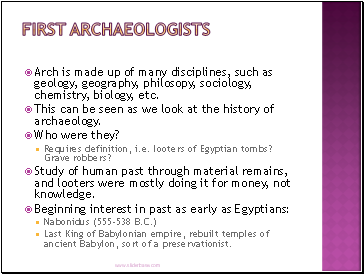 Study of human past through material remains, and looters were mostly doing it for money, not knowledge. 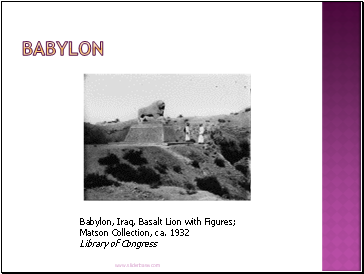 Last King of Babylonian empire, rebuilt temples of ancient Babylon, sort of a preservationist. 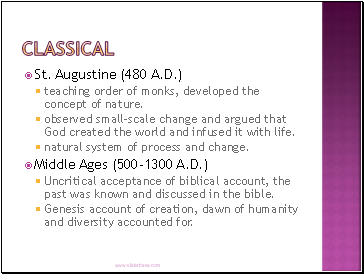 teaching order of monks, developed the concept of nature. observed small-scale change and argued that God created the world and infused it with life. natural system of process and change. 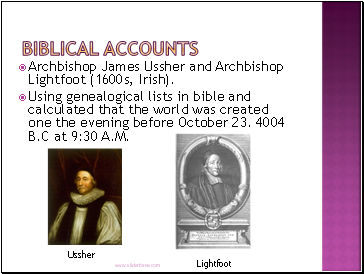 Uncritical acceptance of biblical account, the past was known and discussed in the bible. Genesis account of creation, dawn of humanity and diversity accounted for. Rediscovery of the past, interest in the classical period. Collection of statuary for artistic reasons produced interest in past and cultural identity. Poet, remote past a period of ideal perfection. Considered by many to have established the modem discipline of archaeology. Translated the Latin inscription of the triumphal Arch of Trojan at Ancona, and was inspired to devote his life to study and collection of ancient monuments. 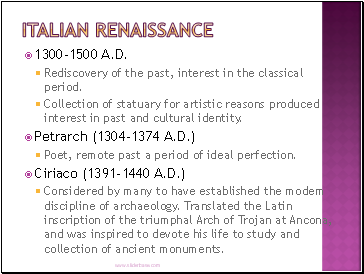 Interest in the antiquities of the classical civilizations became pastime of the wealthy as result of Renaissance. This general interest led to appreciation of local antiquities. Librarian who worked for Medici mercantiles. 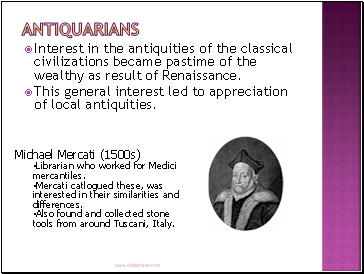 Mercati catlogued these, was interested in their similarities and differences. Also found and collected stone tools from around Tuscani, Italy.